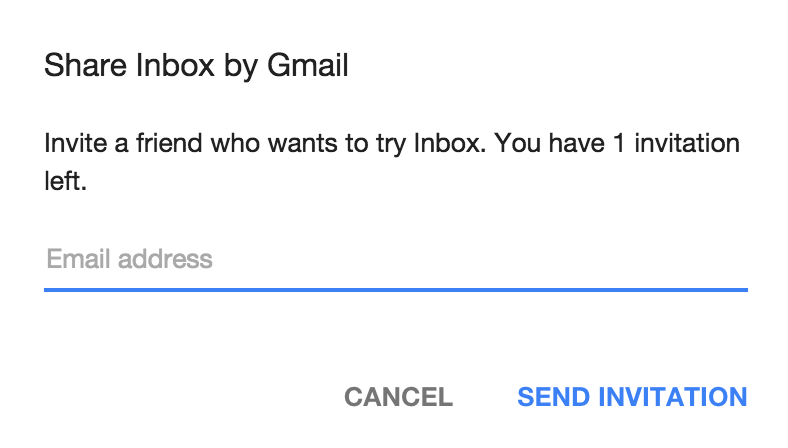 Over the last three days thousands of people have contacted me in hopes of getting a Google Inbox invite. The newest “type” of GMail is the talk of the tech world as Google has created an enhanced GMail that works amazingly well on mobile. If you are looking for an invite go to this link and post a comment: Get a Google Inbox Invite. Upon being invited, we are asking that the invites be shared with others that have commented on the Wojdylo Social Media post. This way, everyone will be able to gain access to the newest Google craze. Unfortunately, some users are struggling to find the “invite to Inbox” option on desktop or their smartphone. Jesse Hollington, of iLounge, invited me to Inbox and shared this screenshot of how he invited me. He also mentioned that Google does not show you how many invites you have remaining but he lost his ability to invite after inviting three (3). The screenshot below is only on mobile. If you click the compost button on the bottom right of the desktop Inbox screen you will not see the “Invite to Inbox” bubble. He mentioned that it took about 48 hours for this bubble to show up so remain patient if you don’t see it yet. This means you will need to have the proper email addresses available while on mobile. I would imagine Google makes it rather easy to share an invite with those you have communicated with in the past. One of the things I absolutely love about GMail, and now Inbox, is the fact that Google basically knows the recipient of the email if you have already sent that person an email. If my predictions are correct, they will also know the people you will likely send invites. Back in 2004, GMail offered users 100 invites. I still have 98 if anyone is interested! I would imagine that as Inbox gets more popular we will see the number of invites increase. Shortly after the Inbox invites increases we will see the service become available to the entire public. I will be making predictions on when Inbox moves out of the Invite Only stage in the near future. In fact, I have several articles that will be published reviewing Inbox and offering some tips and tricks that can help make your life much easier. From first impression, I would say that Inbox is fantastic. In fact, all of my friends and colleagues that have used Inbox, in late October 2014, absolutely love this service. As we move forward and see more updates it will be interesting to see how Google implements all of their other services. If you have GMail, Inbox basically replaces it with all of your contacts, labels, folders, etc and enhances them. All that said, feel free to invite others to Inbox now that you know how to do it. Click the little red compose plus (+) bubble on the bottom right of your iPhone or Android phone and you will be able to invite friends. Please invite me! Will pass along my invites as well. 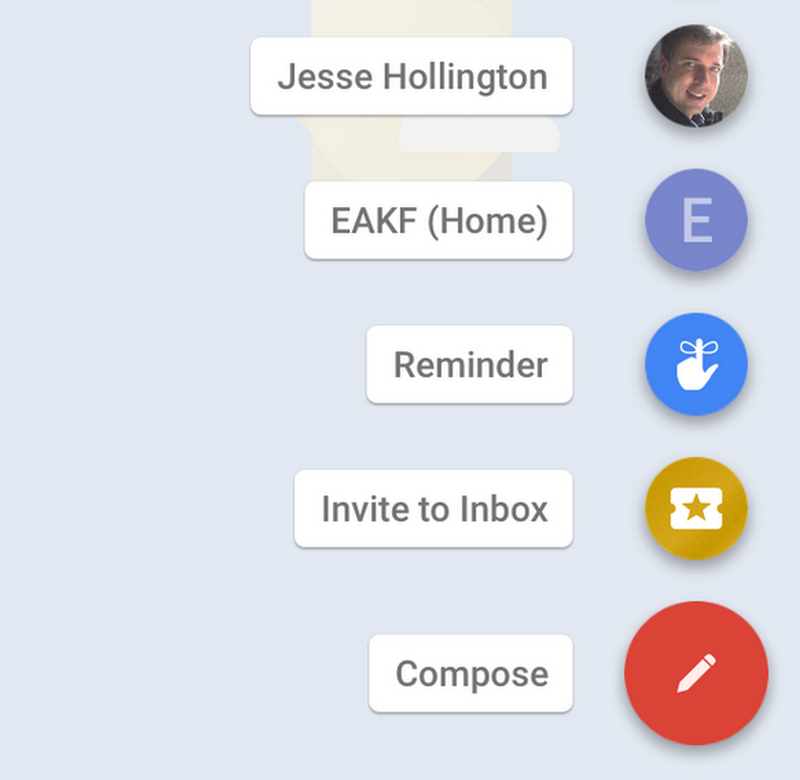 Sounds exciting and great UI of the new Inbox by Gmail. I’d really appreciate if someone invited me to Inbox too ! An invite to 121shanavas@gmail.com would be appreciated. Can someone please spare an invite? I’ll share when I get mine. Many thanks. Would also love an invite – erikgoldhar@gmail.com – will definitely be sharing mine on this very site. I’m in for an invite folks. Please can i have an invitation? I’ll also pass my invites along. Hi . I would like an invite. Can I pls have an invite?? Would be awesome to get 1 invite. Will gladly give back 2. If you have an invite over…. Would love that very much! Could anyone be kind enough to send me an invite. I will send you back one once I receive my invites. Thanks in advance. Please someone send ma an invite. I will send you one once I receive one. My Email adnangkhan@gmail.com. Please. I could use an invite and will share here. I also have “Three Beta Coins” for the Mailbox app for Mac if anyone’s interested. Great idea to share invites..
Wld love an invite if any left! Can i have an invite please. Thanks. Hey…I would really love an invite. Been waiting for ages.